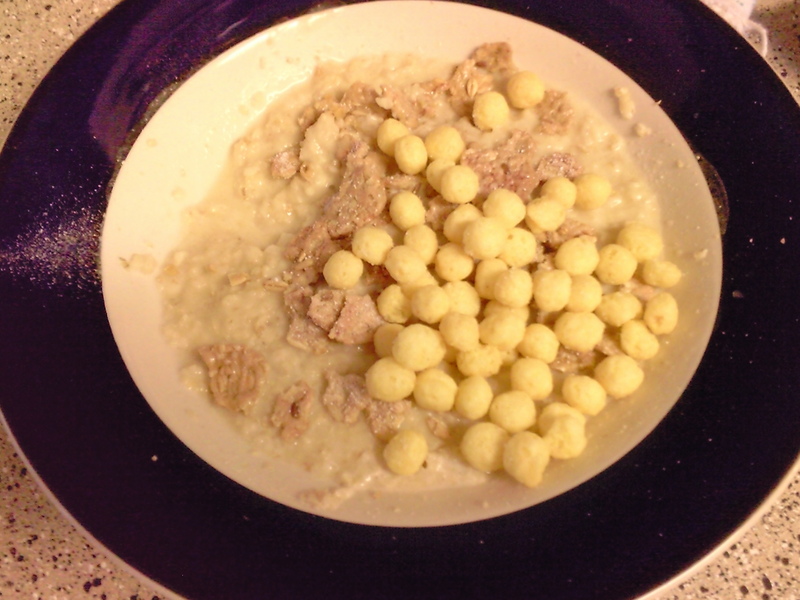 You are currently browsing the tag archive for the ‘Panda Puffs’ tag. Breakfast was a bowl of oatmeal, but I would have like some fresh fruit. Cantelope sounded sooo good. It will be on my list I think. We are running very low in the grocery department so we’ll have to go shopping this weekend. (Yipee! I love to go grocery shopping!) Well I say that but then taking the kids with us will…I repeat, WILL drive you batty! Then it becomes a challenge to leave the store with your head attached. I do it because since B and I both work full-time the weekend shopping trips are in a sense one of our outings. Call me crazy. We survive though. It’s a shopping trip of love, that you need a nap afterwards! 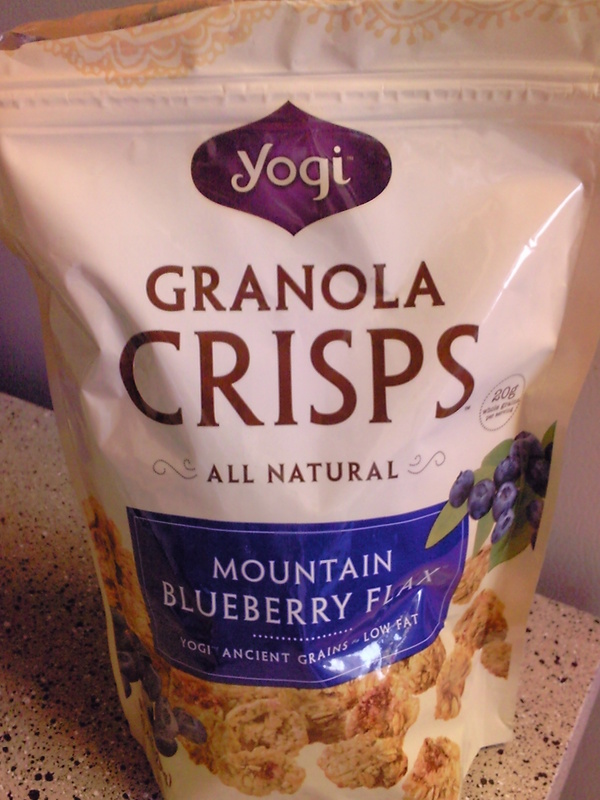 Oatmeal, EnviroKids Panda Puffs, Yogi Blueberry Mountain Flax Crisp, YUM! 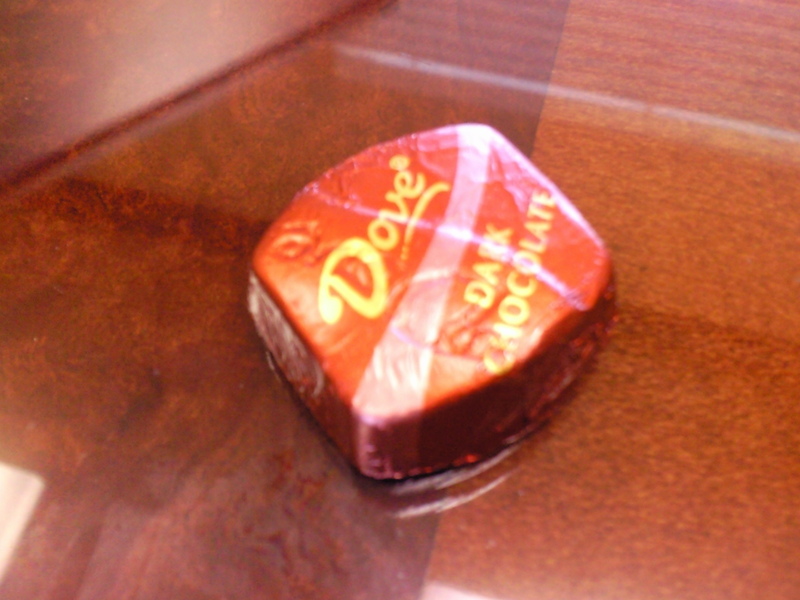 Lunch today…at work…was again scraping the bottom of the barrel. 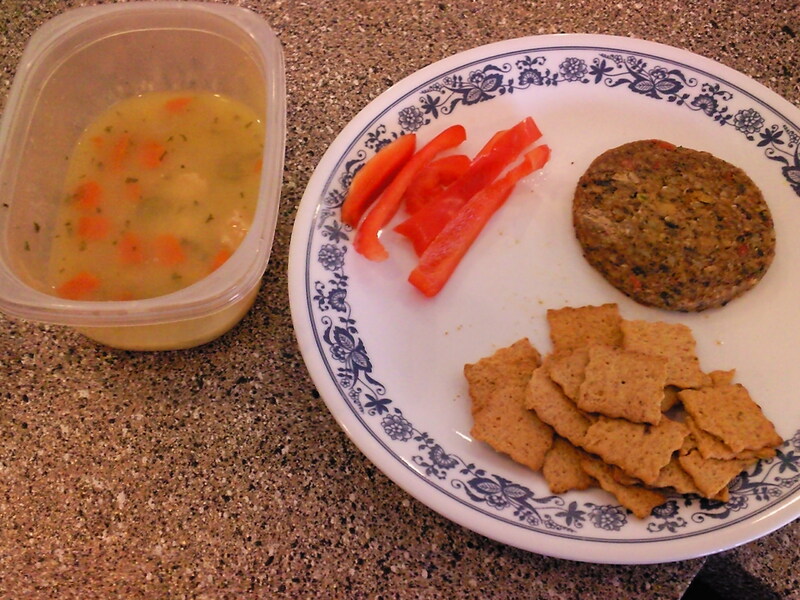 I wanted something with more substance, but this still was a good lunch, and easy for the office. 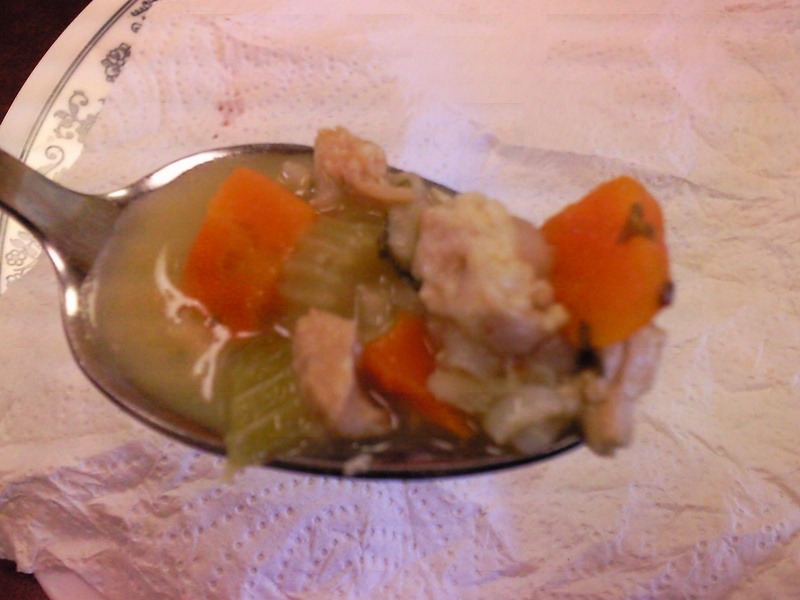 I had a cup of Campbell’s Select Harvest Savory Chicken and brown rice soup. Also a veggie patty with sliced red bell pepper. I finished it off with some Special K Tomato and Herb crackers. The soup was good, and it had big pieces! I was impressed! I was still craving fruit though! I’m in need of a fruit fix I think. 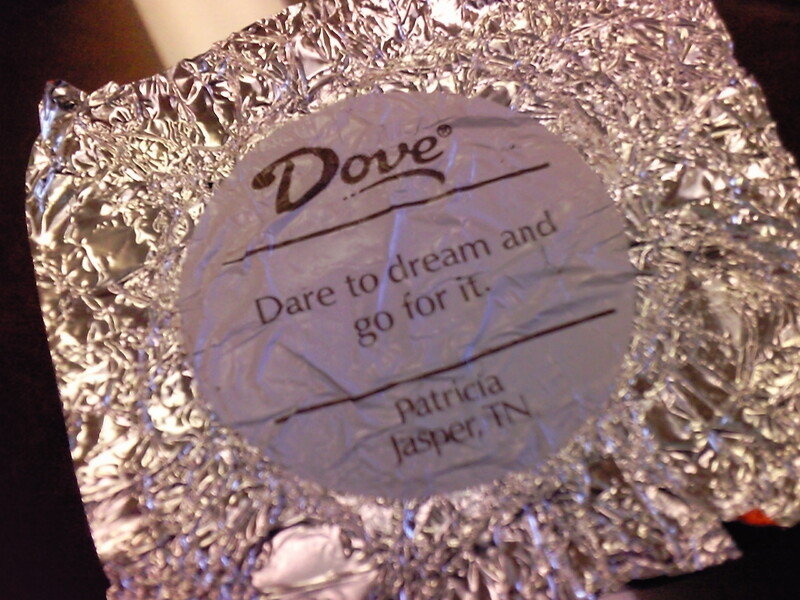 I did snack on a dark chocolate Dove square. Ooh La La! So now I’m off to make a list for the grocery store. Gotta pre-plan those meals for the week, and figure it all out! See you for dinner!